Screened porch with 2 ceiling fans off of living room. Airy living room off kitchen/dining area. Peeks of the Bay. Dining area off kitchen, beside slider to back deck and grill. Kitchen that opens to dining area and also exits to yard. Second floor full en-suite bath. First floor master (Queen) with full, en-suite bath. First floor full en-suite bath. 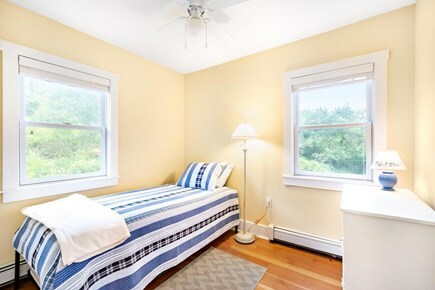 Third bedroom, twin with trundle. Beautiful and tranquil Ryder Beach. More views from second floor master. 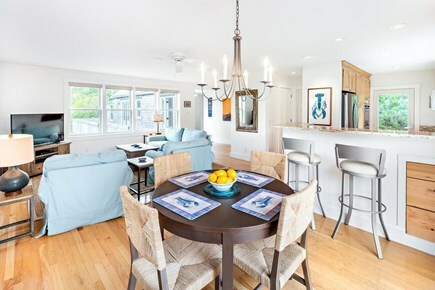 This wonderful three-bedroom, three-bathroom home is an amazing spot for your Truro vacation! Tucked away in the wonderful Ryder Beach area, you'll love the peaceful location and easy access to one of the Cape's best beaches. 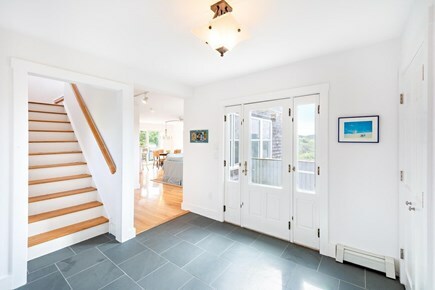 Enter the open and bright living area from the tiled foyer. 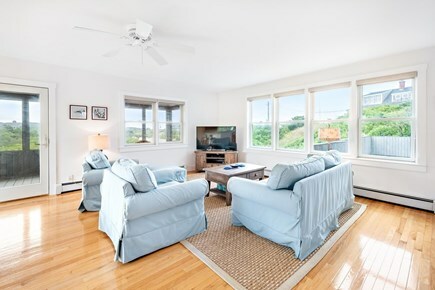 The living room has comfortable seating and a flat screen TV with cable and WiFi. Windows on one side open to the front deck. Windows on the other side open to the beautiful screened porch. Just off the living room is the dining area with table and slider to the back deck. 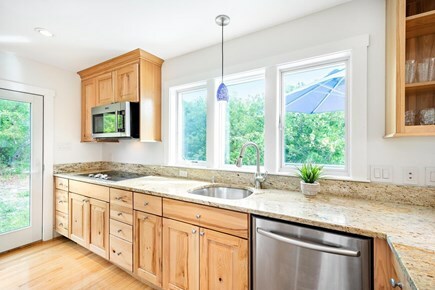 The galley kitchen with granite counter tops and stainless appliances is just beyond. There are two bedrooms on the first floor. The large first bedroom has a queen bed and an en suite bathroom with double sinks and separate custom tiled shower and bathtub. 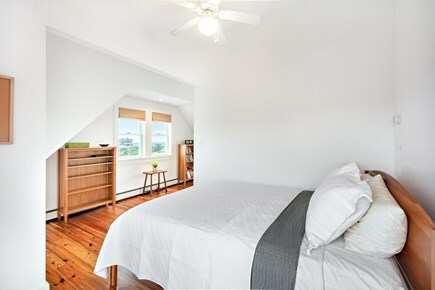 The second bedroom on the first floor has two twin beds (a twin with trundle bed--second twin--tucked beneath). 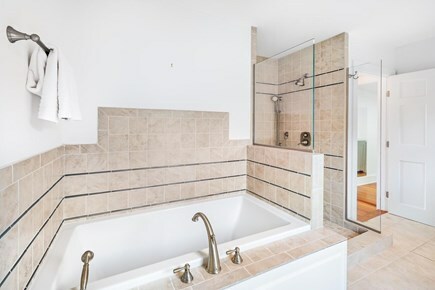 The second full bathroom on the first floor has a tub/shower. 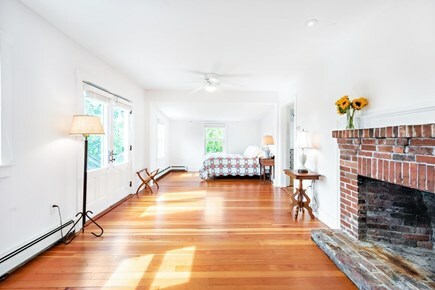 The second floor master is spacious and bright. 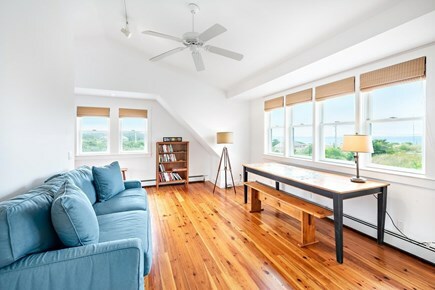 A large sitting area offers wonderful water views of Cape Cod Bay. There is a queen bed and sofa. 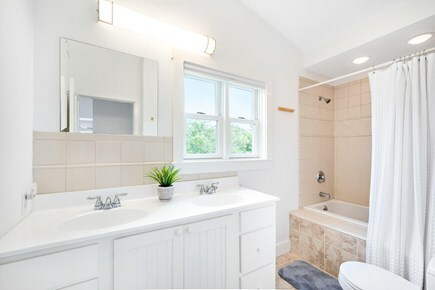 This comfortable master has an en suite bathroom with double sinks and tub/shower. 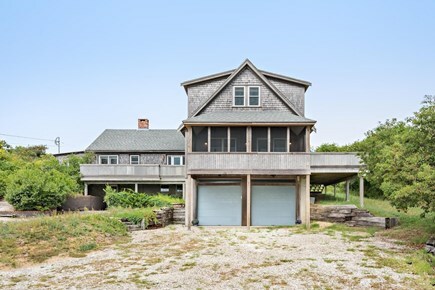 Originally built in 1950 as a beach cottage, the property was enhanced in 2010 with an addition and significant renovations. Hardwood floors throughout the main living areas and bedrooms, there are ceiling fans and thoughtful details and finishes. Washer and dryer conveniently located in the basement. The beautiful interior spaces are only rivaled by the exterior spaces. 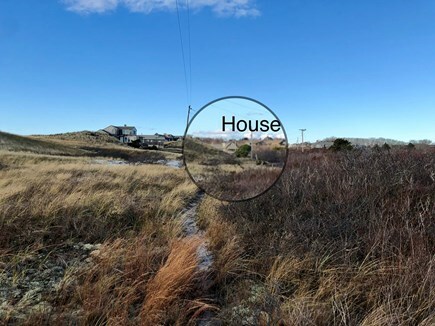 In addition to the front deck facing the water, the home has a large back deck with gas grill and an enclosed outdoor shower. 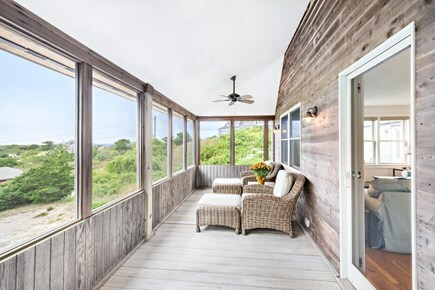 The screened porch at the front of the house is an ideal spot for lounging and enjoying the desirable Ryder Beach location. 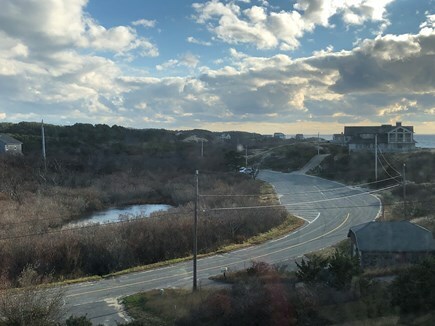 Enjoy blue skies during the day and the magical colors of Truro as the sun sets. You will soon understand why painters have always flocked to Truro's bay side--bathed in beautiful pinks and golds at the end of each day. 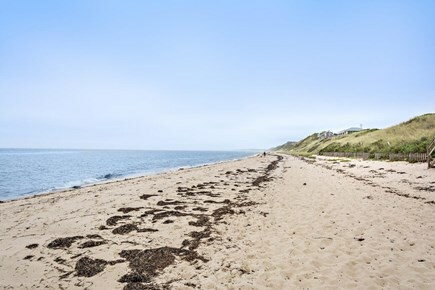 The home is about 1/10 mile from the Ryder Beach entrance. Swim and sunbathe at this magnificent bay beach. 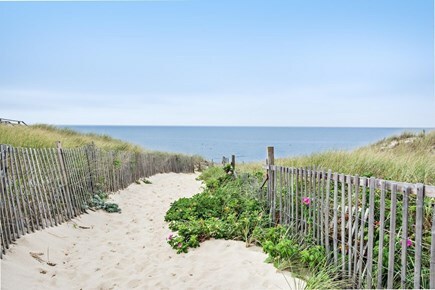 No need to drive to the beach and try to find parking--you are only a few steps away. Additional availability info: Homes listed as available today may not be available when you decide to book;availability may change. This is a Saturday to Saturday vacation rental.